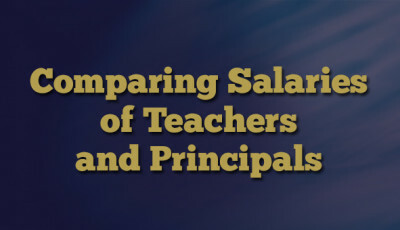 After looking at the average principal’s salary within a district and how it compares to the families who live in that school district, it’s time to look at how principal salaries have changed since 2009. A few things to remember about these numbers. The amount shown for a district represents an average of all principal salaries within a district. This means averaging elementary, middle, and high school principal salaries together. 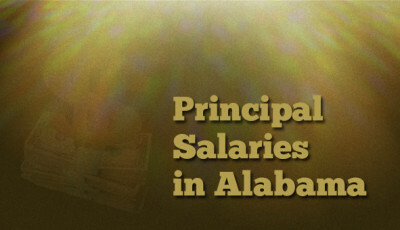 Generally speaking, it appears that principals in high schools earn more than those in elementary schools. Because there are relatively few principals in most school districts, a highly-paid principal can skew the average upward. Conversely, a highly-paid principal’s retirement can result in a wild swing from one year to the next. These numbers were calculated from reports submitted by school district officials to the Alabama State Department of Education (ALSDE). As with the teacher salary data, these numbers only represent salaries, no benefits or other additional pay. The average salary amounts were “deflated” using the Implicit Price Deflator (IPD) from the Bureau of Labor Statistics (BLS) for state government expenditures. There are a lot of ways to make dollars “constant”, and thus comparable over time, and for this article, the IPD was used. The previous article comparing principal salaries to median family income utilized the Census Bureau’s CPI-U-RS, a specialized method to adjust for inflation in 2013 dollars. Today’s article turned all dollars into 2009 dollars. What Kinds of School Choice Already Exist in Alabama?